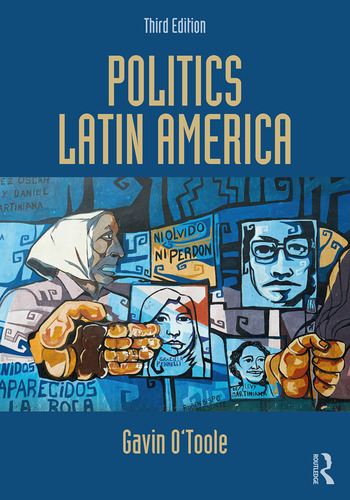 Politics Latin America examines the role of Latin America in the world and its importance to the study of politics with particular emphasis on the institutions and processes that exist to guarantee democracy and the forces that threaten to compromise it. a new chapter on environmental economics and sustainable development. This book is essential reading for undergraduates taking courses in Latin American Politics. Gavin O’Toole has taught Latin American politics and democratic theory at Queen Mary University of London, and was a Visiting Postdoctoral Fellow at London’s Institute for the Study of the Americas. He is the author of The Reinvention of Mexico (2010), Environmental Politics in Latin America and the Caribbean (2014), and the co-editor of Che in Verse (2007).